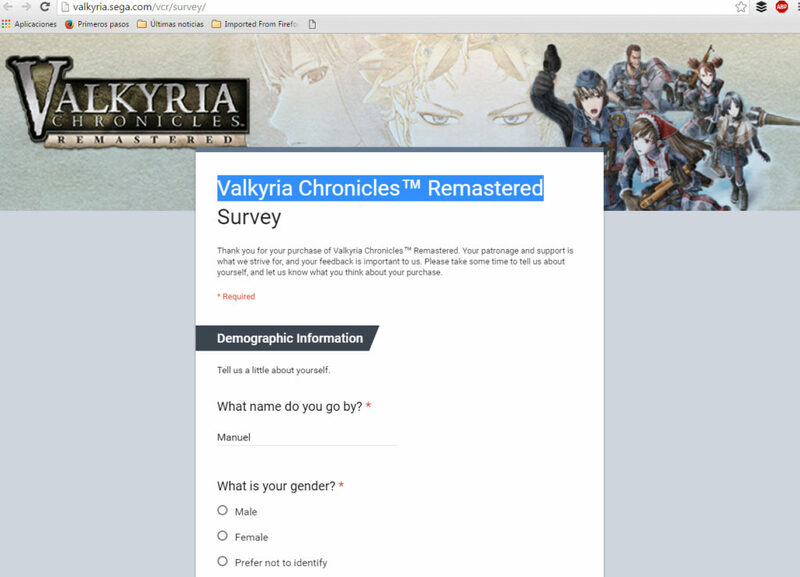 Those who have purchased the recent Valkyria Chronicles Remaster reported there’s an official survey to tell SEGA your input on the series and if you are interested in the rest of the entries to be brought here. Som what are you waiting for? Go and fill your own answers, maybe if your voices reaches them we may get that Valkyria Chronicles 3 or Azure Revolution we were waiting for.